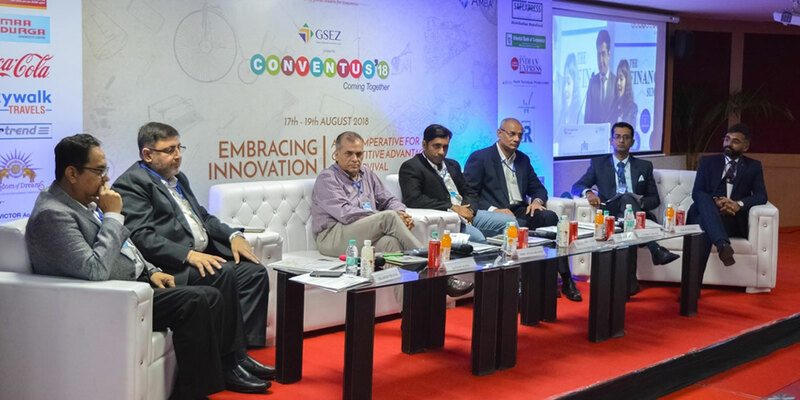 As we move into the epoch of GenZ, we can allude to innumerable examples of organisations that have set precedents for new heights of success. A case in point is the popular entertainment company Netflix, a literal embodiment of embracing innovation to gain a significant edge. The company made its mark not just by pivoting into production of their own exclusive and creatively outstanding content, but also by their strategic ingress into the era of online streaming. They disrupted the traditional way of content consumption through cinemas or on TV, by popularizing subscription-based online video streaming. These upgrades were company-wide efforts and rapid technological innovation, demonstrating its commitment to standing out from competitors, thus making Netflix a classic example of a millennial success story. 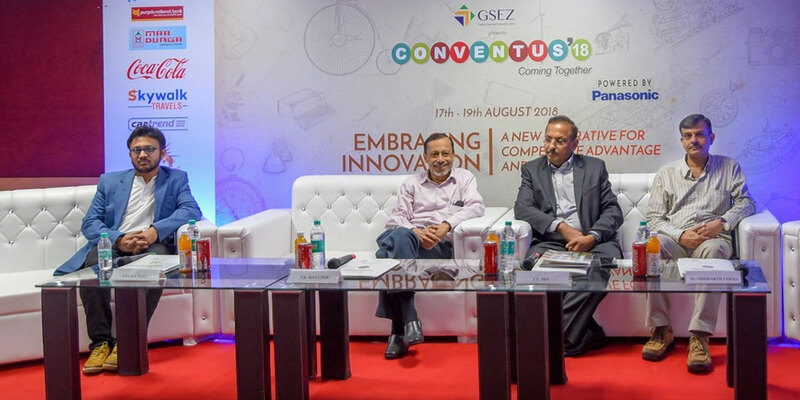 The theme of Conventus 2018 seeks to provide a platform where a miscellany of experienced minds can delve deeper into importance of embracing innovation to unlock potential in today’s competitive world and uproot innovation from the land of buzzwords into something measurable and meaningful. 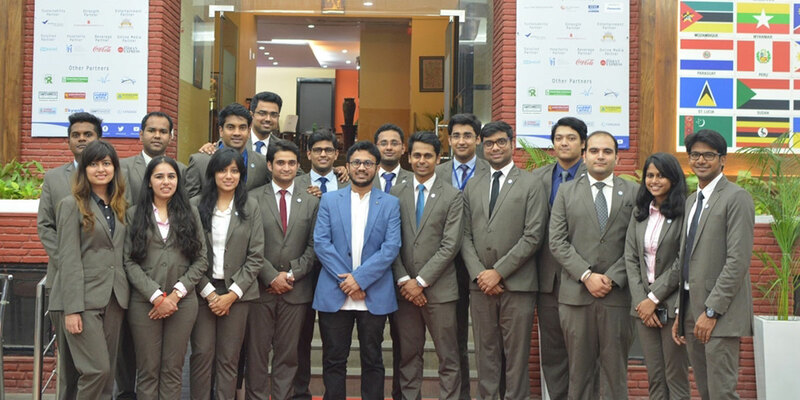 It would also be an enriching experience for B-school students to derive insights and harness the power of innovation in their impending corporate careers. 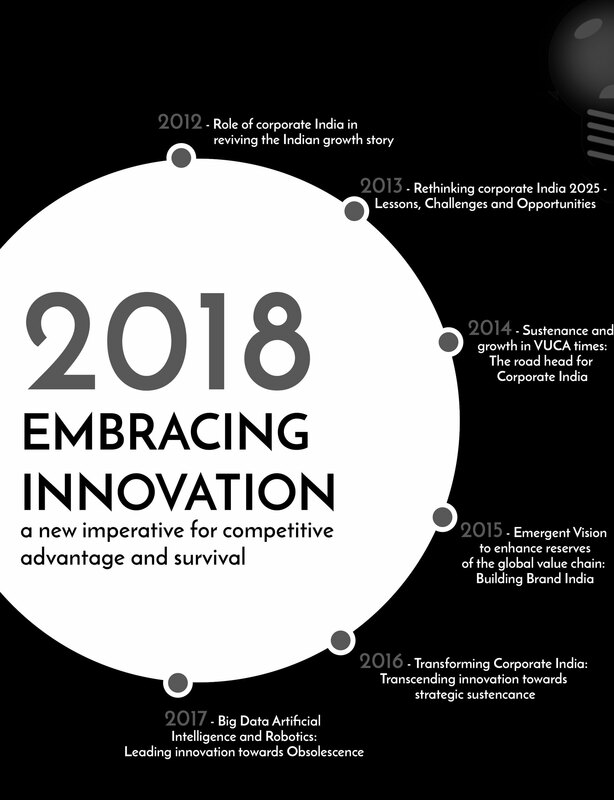 From Incrementalism and Imitation to Radical and Pervasive Innovation: Is India ready to embrace the change? 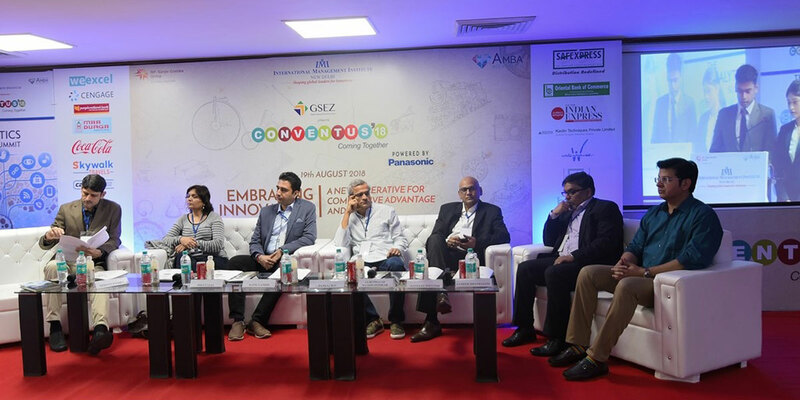 With a vibrant young population, humongous economic potential and a government that envisions an enabling environment, India appears poised to open the gates to innovation. Last few years have seen a strong positive sentiment towards research and innovation. New ideas are being encouraged by the government. Meanwhile, businesses have started looking for innovative and entrepreneurial minds to support their functions. However, a dark side looms. They say, a platform like Facebook, had it been created in India, would have buckled and eventually died. Any innovation needs certain care, thrill and nurturing ecosystem. This is a kind of support that the Indian Ecosystem has, until recent times, failed to deliver. 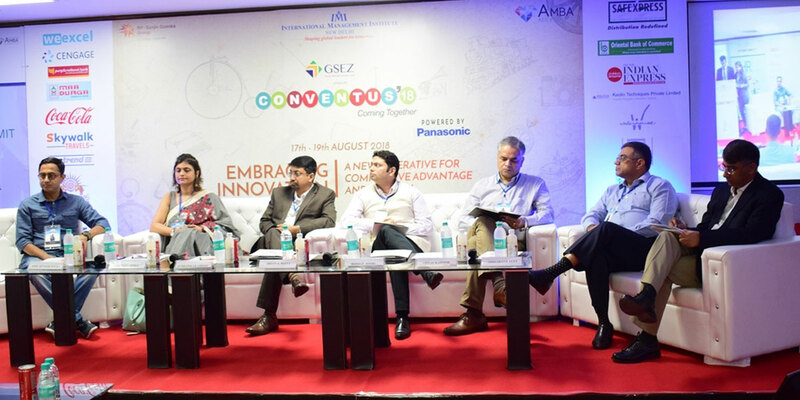 Further, owing to the lack of billable education in most parts of the country, the innovative entrepreneurs struggle to find skilled workforce. Trapped with manifold constraints that bind a brain that dreams to think differently, some questions remain to unanswered. Will India be able embrace the Innovation Drive and leave the past behind? An innovation that unlocks value and sustains it in the long run is what businesses need to achieve today. In the current scenario which is volatile, uncertain, complex and ambiguous, disruptions are a way of life. 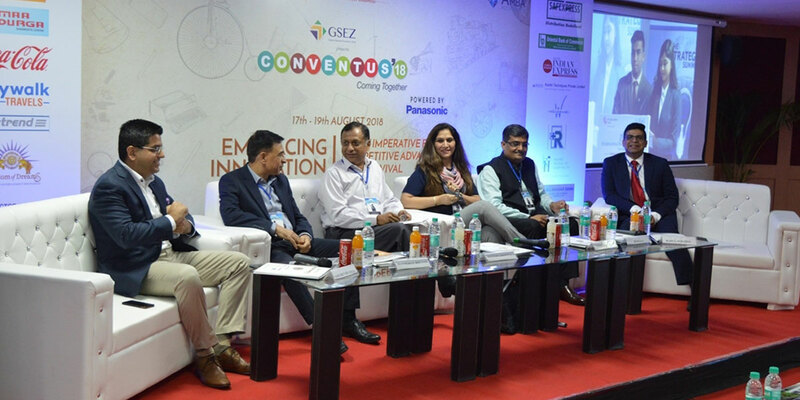 Businesses are exploring newer possibilities and questioning conventional ideologies. Leveraging the increased use of devices to help their overall growth, companies are investing liberally on technology in order to cut costs while developing human capabilities. Operations 4.0 can bring the transformation which will trigger the next era of productivity rise as digital analytics takes center stage. The present sea of disruptions and volatility in the financial world, have completely transformed the landscape of the world economy. With the advent of Fintech, we have witnessed the advent of Blockchain, Cryptocurrencies, Peer to Peer lending, Artificial Intelligence based financial advisory and wealth management services. One major transformation has been that of the use of block chain for digital transactions, which streamlines the flow of information across all the channels. The distributed ledger system of block chain leverages stringent controls enabling smart contracts and auditable data. The question which stands in the mind of everyone today is: "How do we carve our roads, to have the least of the issues and vices and reap most of the advantages and prosperity". In today’s world, where adapting to innovation is the very key to success, companies can be classified into two categories. On one hand, we have the traditional companies and large multinationals that just like oil tanker need a lot of time to change its course. On the other hand, there are very agile companies, that just like a speed boat, can swiftly weave around the waters and even accelerate if necessary. Collaboration is at the forefront of everyone’s minds, and most startups know that it’s critical to help sell their product. This creates a perfect storm. Corporates need startups and startups need corporates. That’s the premise behind Startupbootcamp. However, what is the reality of them working together? Does it create a perfect blend or just lead to a big mix up? Bridging Social & Business Innovation: Shaping Social Sustainability or just another marketing gimmick? 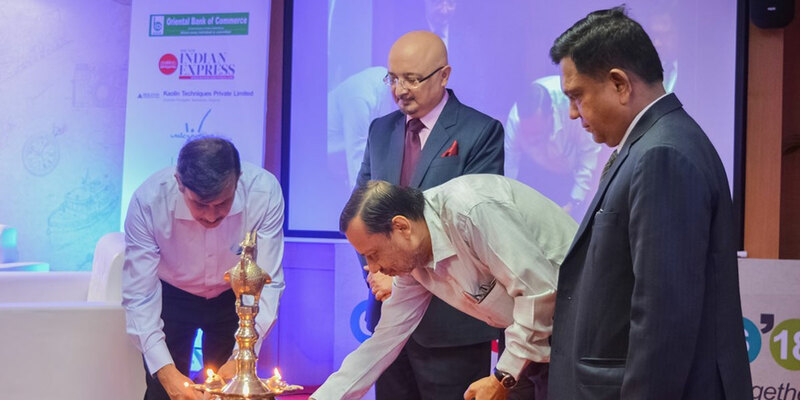 The traditional models and methods in the domain of Corporate Social Responsibility (CSR) are no longer sufficient in meeting the needs of corporate engagement. It is a common notion among many that these notions no longer apply in the current environmental context. 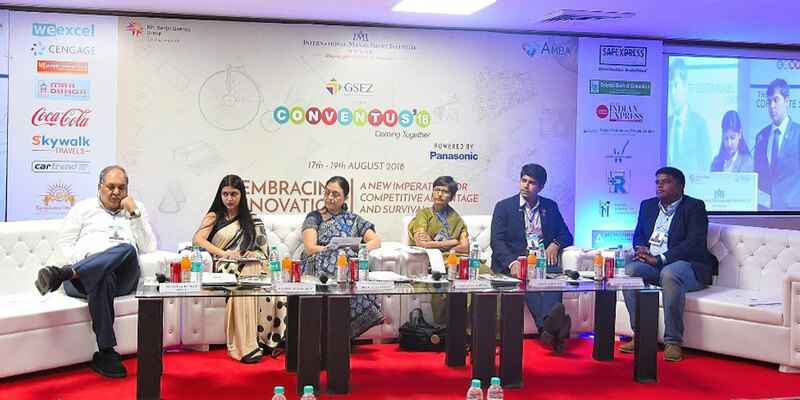 However, the last decade saw an explosion of renewed interest in the avenue of Corporate Social Innovation, a fairly new discipline that employs entrepreneurial knowledge and methods to develop solutions to pressing social issues. What once worked might no longer fit today’s changing reality. The world has entered the VUCA phase, wherein, it is necessary that the strategies adopted keep up with the dynamic environment. Sustainable Competitive Advantage has often been considered the Holy Grail for most businesses. Businesses have always looked to generate and establish a differentiating factor that sets them apart from other competitors and hope to sustain that advantage for as long as possible. However, once a necessary part of strategy, it is now increasingly obsolete and no longer a realistic goal for most firms. What this means for businesses now is to imbibe newness in their way of doing things. Innovation could stem from an idea, from a new way of handling operations, from a different way of approaching marketing and the like. Today, innovation is a common phenomenon in the domain of Human Resources (HR). Innovation in the domain of HR includes leveraging new proactive approaches to create employee strategies, motivate, and direct employee thinking. Innovations, however, need to be in tandem with the rapidly changing VUCA world. 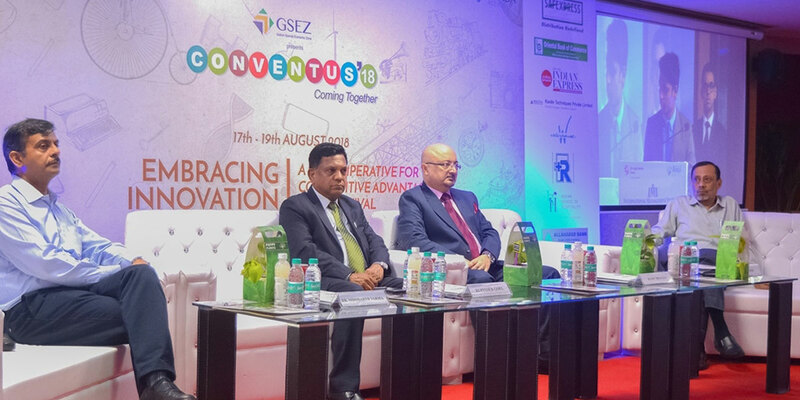 With the advent of industrial revolution 4.0, the industry has been moving towards a more digitized platform. This has created a need for the domain of HR to constantly evolve in order to stay relevant. Hence, technology plays a pivotal role in the field of Human Resources. Innovation and technology continue to disrupt markets and it has hence become imperative for marketers to incessantly recognize, prioritize and respond to such disruptions to stay relevant. Innovation is often in the eye of the beholder - what may be new and radical for one person, may be old news for another. Despite this subjectivity, there has been a lot of deliberation about the focus of different innovation processes, guided by the question: what is it that innovation processes seek to change and improve? New product and service development is an obvious target for innovation capability. In a mass market, billions of data points could be collected about existing and potential customers but marketing decisions need to be based on a limited number of salient factors, hopefully interpreted with brilliance and insight. The demand for data has been on a rise over the past few years. With this growing trend, analytical innovators use both data and analytics, in order to create incrementally existing products, services and processes so as to create all-new products, services and business models. However, it is not just the increase in volume, but also the types of data more frequently being recorded and their ability to be influenced, that are the right extensive drivers behind Data-Driven Innovation (DDI). There is ample amount of data flowing through businesses these days and it's impossible for human workers to analyze every bit of it. Business analytics tools are paving the way to transform these chunks of data into a real competitive edge that any data-driven business can tap into to operate their firms more productively.